We have invested heavily in the technology necessary to make our skilled workforce as productive as possible. Our craftsmen use computer aided design tools to layout their work. The design system is coupled with a state-of-the-art plasma cutting system to maximize efficiency and precision. Central Iowa Mechanical specializes in fabricating high-quality ductwork and fittings for low- medium- and high-pressure systems. 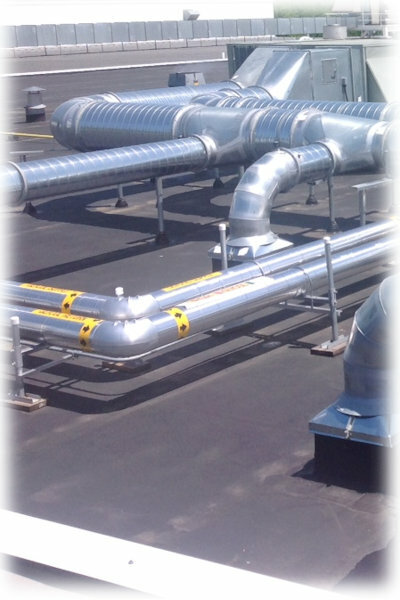 Because we offer in-house fabrication of complete HVAC duct systems and custom sheet metal components, you benefit by having the right materials on the job at the right time, created as cost-effectively as possible. Our fabrication shop includes a computer controlled plasma cutter to cut sheet metal parts as well as an assortment of shears, punches, rolls, etc. We are signatory to Sheet Metal Workers Local #45; our sheet metal workers serve a 4-year apprenticeship and continually receive education after achieving journeyman status on the latest construction methods and trends. That means you can take comfort knowing that our trained and licensed professionals are fully prepared to handle any of your commercial, institutional, or industrial needs.